A Chinese court ordered a ban in the country on iPhone sales in a patent dispute between US chipmaker Qualcomm and Apple, according to a Qualcomm statement Monday. 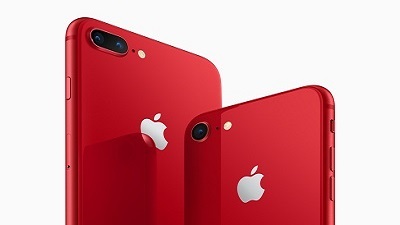 The statement said the Fuzhou Intermediate People's Court had granted Qualcomm's request for two preliminary injunctions against four subsidiaries of Apple, ordering them to immediately to stop selling the iPhone 6S, iPhone 6S Plus, iPhone 7, iPhone 7 Plus, iPhone 8, iPhone 8 Plus and iPhone X. The move marked the latest in a long-running dispute over patents and royalties between the two California tech giants playing out in courts and administrative bodies worldwide. "We deeply value our relationships with customers, rarely resorting to the courts for assistance, but we also have an abiding belief in the need to protect intellectual property rights," said Don Rosenberg, Qualcomm executive vice president, and general counsel. "Apple continues to benefit from our intellectual property while refusing to compensate us. These court orders are further confirmation of the strength of Qualcomm's vast patent portfolio." The China case is based on patents which enable consumers to adjust and reformat the size and appearance of photographs, and to manage applications using a touchscreen, Qualcomm said. An Apple statement to AFP called Qualcomm's effort a "desperate move by a company whose illegal practices are under investigation by regulators around the world." Apple added that Qualcomm "is asserting three patents they had never raised before, including one which has already been invalidated." Apple said that "all iPhone models remain available for our customers in China," adding that "we will pursue all our legal options through the courts." Follow this on OUR FORUM. Sextortion email scams have been a very successful way of generating money for criminals. A new Sextortion campaign is now taking it to the next level by tricking recipients into installing the Azorult information-stealing Trojan, which then downloads and installs the GandCrab ransomware. A sextortion scam is when you receive an email that states someone hacked your computer and has been creating videos of you while you are using adult websites. These emails may also contain passwords of yours that were leaked during data breaches in order to make the scams look more legitimate. The emails then tell you to send them bitcoins or they will share the videos they made with all of your contacts. It should be clear that these are scams; your computer was not hacked and there are no videos of you. A new campaign has been spotted by researchers at ProofPoint that instead of containing a bitcoin address to send a blackmail payment to, they instead prompt you to download a video they made of you doing certain "activities". The downloaded zip file, though, contains an executable that will install malware onto the computer. "However, this week Proofpoint researchers observed a sextortion campaign that also included URLs linking to AZORult stealer that ultimately led to infection with GandCrab ransomware," stated ProofPoint's research. More on this dirty deed can be found on OUR FORUM. You might well expect that if you perform a Google search while signed into your Google account that the results will be tailored according to what that company has learned about you over the years. But what about when you're not signed into your account? A study carried out by the privacy-centric search engine DuckDuckGo yielded some slightly surprising results. In tests earlier in the year, it was found that even when people searched without logging into a Google account -- or when they used private browsing mode -- "most participants saw results unique to them", suggesting there was still personalization of results. While this was a small study with just 87 results involved, the findings are interesting, nonetheless. Conducted back in June -- during the US midterms -- DuckDuckGo wanted to use its study to test the influence of Google's "filter bubble". This "bubble" is the activity you would expect from Google -- the personalization of search results based on what it has been able to learn about you. When you're logged into your Google account, it's easy to understand how the company gathers information about you. But when you're using private browsing mode -- or just logged out of your account -- and you see similar personalization, it is a little worrying. More content posted on OUR FORUM. Today at Snapdragon Summit, the chipmaker Qualcomm announced Snapdragon 8cx for Always Connected, Always On Windows 10 devices. This new high-end Snapdragon 8cx chipset will power 2-in-1s instead of smartphones and tablets. At its event, Qualcomm shared more details about the chip that will rival Intel that powers the high-end PCs. Qualcomm also detailed how its Snapdragon processors can contribute to the PC industry and address the battery backup and internet connectivity problems. Earlier this year, Qualcomm unveiled Snapdragon 850 platform which is made specifically for Windows laptops. 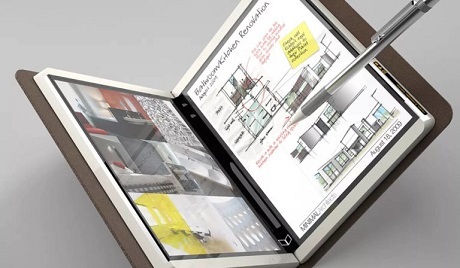 The new Snapdragon processor takes the Windows on ARM project to the next level. Qualcomm is calling the 8cx its “most extreme” package yet. This new platform promises a major boost to Windows performance. The key changes include enhanced AI and machine learning capabilities, improved performance and up to 24 hours of battery backup from traditional 2-in-1s. The Snapdragon 8cx is more powerful than the Snapdragon 850 and it is set to come out next year. 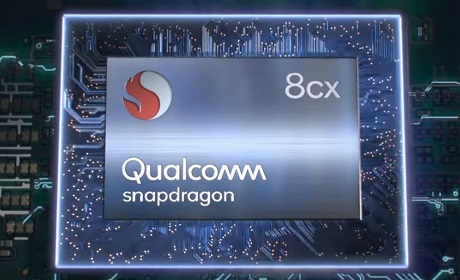 The Snapdragon 8cx, a 7nm chip that’s currently in testing and it’s going to power the future Always Connected PCs from Microsoft partners. This is the most powerful and fastest Snapdragon chipset ever made. The new system-on-chip (SoC) features the highly-anticipated eight-core design. The platform also contains support for faster LPDDR4X memory which ensures faster performance. The Qualcomm’s “Extreme” chipset for Windows 10 ARM devices promises better performance, more power, improved connectivity, and up to 25 hours battery backup. More details are posted on OUR FORUM. 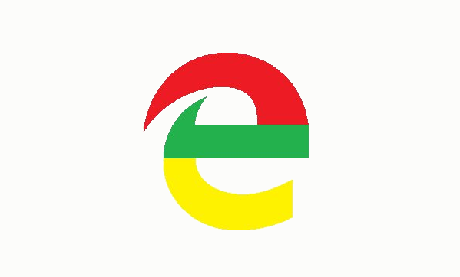 Microsoft confirmed the leaks that they will be using Google’s Chromium web rendering engine for the Edge browser, and would be contributing their developer expertise to evolving the Chromium and other open source web engines. VentureBeat has asked Google and Mozilla, the non-profit behind the Firefox browser, what they thought of the announcement. Not afraid of being embraced and extended by Microsoft, Google has welcomed the move, saying: “Chrome has been a champion of the open web since inception and we welcome Microsoft to the community of Chromium contributors. We look forward to working with Microsoft and the web standards community to advance the open web, support user choice, and deliver great browsing experiences.” Mozilla, on the other hand, was not encouraged, and painted themselves as the last bastion of the free web, saying: “This just increases the importance of Mozilla’s role as the only independent choice. We are not going to concede that Google’s implementation of the web is the only option consumers should have. That’s why we built Firefox in the first place and why we will. Follow this and more browser news on OUR FORUM.